The Page 99 Test: Stephen W. Sawyer's "Demos Assembled"
Stephen W. Sawyer's "Demos Assembled"
Stephen W. Sawyer is professor and chair of history, cofounder of the History, Law, and Society Program, and director of the Center for Critical Democracy Studies at the American University of Paris. He is editor of the Tocqueville Review and associate editor of the Annales. History and Social Sciences. Page 99 of Demos Assembled opens with a betrayal. Or so it seems. The book claims to shed light on our contemporary democratic crisis. And yet, page 99 is the first page of chapter 4 entitled “Necessity,” which explores this concept through a figure rarely associated with anything even remotely democratic, Adolphe Thiers. Thiers, the “butcher” of the Paris Commune of 1871, has something to tell us about democracy? It is this paradox that page 99 and the book attempt to grasp. For all the talk of democratic crisis, our knowledge of democracy’s actual history remains limited. If the notion emerged in its modern usage among western philosophers in the 17th and 18th centuries, following the American and French Revolutions it was largely discredited: Robespierre and Napoleon’s quasi-dictatorship reduced the democratic ideal to dangerous mob rule, or a government fit only for ancient Athens. This suddenly changed in the 1820s and 30s when Andrew Jackson’s “Democratic Party,” radicals in France and Britain, and Tocqueville’s trip to the US all placed democracy front and center. Then, in 1848, democracy stepped out of the crowd and took center stage. Revolutions swept across Europe, all of them entertaining some relationship with the democratic. At the end of this revolutionary wave, Napoleon’s nephew was elected President of France by universal manhood suffrage but soon declared himself emperor. His regime, though dictatorial, was considered to be a “modern democracy” because he maintained universal manhood suffrage. 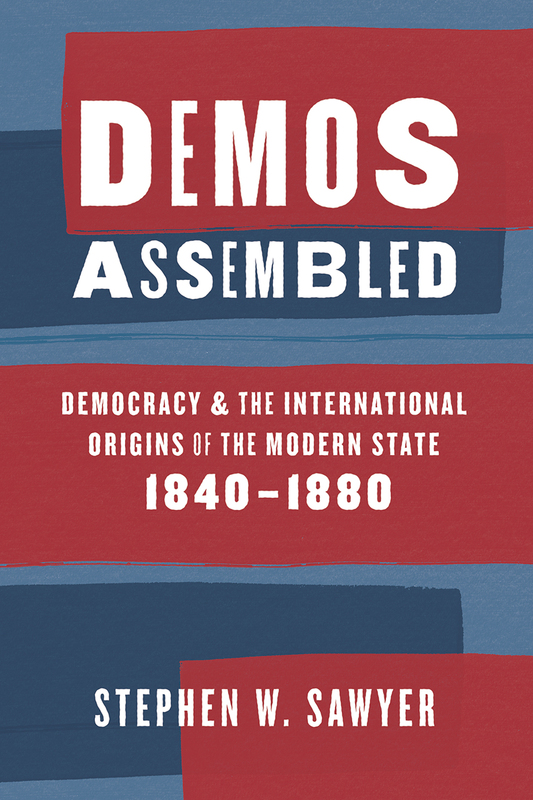 Demos Assembled shows that this moment marked the birth of a critical history of democracy. When modern democracy took hold, a panoply of thinkers and statesmen began critiquing democracies that existed in the name of democracies alternatively defined. Adolphe Thiers was among them. An opponent of Napoleon III, Thiers elaborated a potent, though ultimately very dangerous, notion of legal necessity as the foundation for popular rule in the modern age. He therefore captures the paradox of democracy’s past: while he used the notion of necessity to brutally crush the Commune, he also consolidated the first lasting democratic Republic in Europe. A betrayal? Perhaps. But Thiers provides an important – if troubling – entry point to our modern condition. As little as we may ever know about an ideal democracy, our past offers an important lesson: modern democracy was born neither of consensus nor utopia, but of our constant struggle to self-govern and the inevitable challenges of doing so. 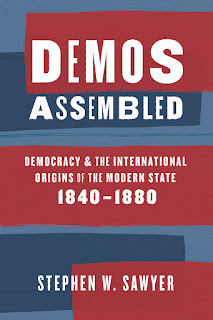 Learn more about Demos Assembled at the University of Chicago Press website. Alex Csiszar's "The Scientific Journal"
Michael North's "What Is the Present?" Gideon Yaffe's "The Age of Culpability"
Philip Thai's "China's War on Smuggling"
Margarette Lincoln's "Trading in War"
Alexandra Délano Alonso's "From Here and There"
Nicole C. Nelson's "Model Behavior"
Yiğit Akın's "When the War Came Home"